Bad posture can lead to wide range of health related issues. 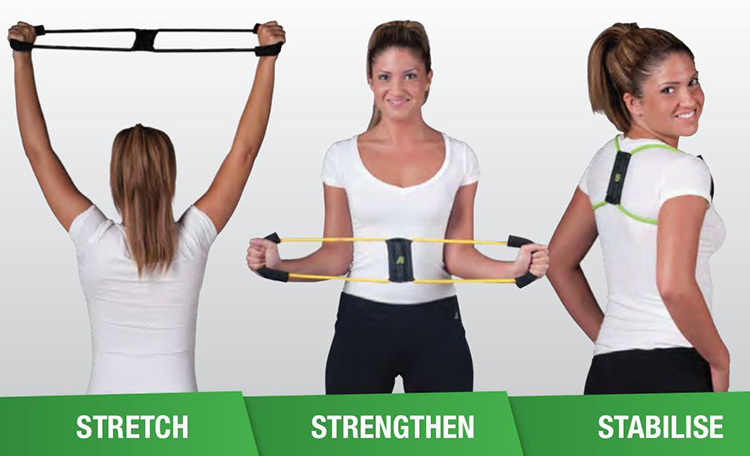 The all new Posture Medic is a simple, inexpensive but very effective therapy tool that can help fix posture on just about anyone! The Posture Medic helps you stretch and strengthen muscles in the upper shoulder girdle, stabilize your upper body and return you to correct alignment and balance. Ideal for both inactive and active lifestyles. If you know someone who slumps at their desk, or in a wheelchair, this is a perfect for them. Posture Medic – improve your posture, strength, and tone.